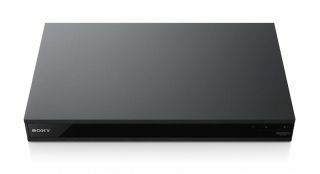 CES 2017: Sony unveils UBP-X800 4K Blu-ray player and Dolby Atmos soundbar | What Hi-Fi? At its standing-room only press conference at CES 2017, Sony has announced a new range of cutting-edge home cinema products. Sony teased us with a prototype version of its Ultra HD Blu-ray player at IFA 2016, but now it's finally here, complete with a model number and price. The Sony UBP-X800 can handle 4K and standard Blu-ray (2D and 3D), DVD, SACD and CD, as well as virtually any video format delivered via its USB socket. It's equipped with two HDMI outputs, so video sent to a display can be separated from the audio information sent to an amplifier. Audio performance is equally well specified, with the X800 ready to deal with high-resolution audio files up to 24bit/192kHz and DSD11.2MHz. And there’s integrated Bluetooth for use with wireless speakers or wireless headphones. The Sony UBP-X800 is set to go on sale in Spring, and is likely to cost around £400. The HT-ST5000 is Sony's first Dolby Atmos soundbar (Sony has resisted the lure of Atmos until now) in a 7.1.2 configuration. It’s compatible with all current 4K, HDR and HDCP2.2 standards and comes complete with a wireless subwoofer. Bluetooth, NFC, Spotify Connect and Chromecast complete a remarkably thorough specification. It too will be on sale in Spring, and will sell for around £1500. If only the full-fat home cinema experience will do, there’s the new STR-DN1080 multichannel amplifier. This is packing both Dolby Atmos and DTS:X support alongside 4K HDR pass-through and upscaling, and can handle hi-res audio up to 24bit/192kHz and DSD. The DN1080 also features something called ‘Phantom Surround’ algorithm which is intended to create 7.1.2 surround from a 5.1.2 speaker system. In addition, the DN1080 packs in wireless multi-room, Spotify Connect, Bluetooth and Chromecast. Taking into account its six HDMI inputs and two outputs (all of which are HDCDP2.2 compliant), it looks an extremely thorough multichannel solution. Like its stablemates, the STR-DN1080 will also go on sale in Spring 2017 and will cost around £650.